On October 16th, 2012, InfraTec hosts the first free information day on “Thermography in Research and Development“ in Dresden. Interested parties can gain compact knowledge about the capabilities of thermography in this demanding field of application and find out more about innovative product novelties and system solutions by InfraTec. The main focus of this event is the expert presentations by various speakers, who will talk about selected interesting applications in research and development. The modern FPA camera technology and state-of-the-art evaluation methods are pushed to their limits in order to constantly explore new fields of application for infrared thermography. On the occasion of the accompanying exposition “Live Thermography Experience”, we also introduce our latest HD thermography systems of the next generation, VarioCAM® HD and ImageIR® 9300, along with many others. The event will be completed by practical demonstrations in the active thermography laboratory and a visit at the sensor manufacturing department. 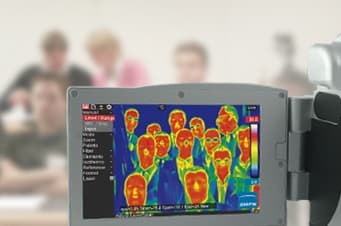 The attendance of this information event is absolutely non-binding and will put you in a position to better evaluate the potential of modern thermography for your personal tasks and applications.